Grand Island’s Pizza Lovers Have Spoken! If you’re wondering what makes Rocky's Island Pizza so special, you can hear it straight from pizza lovers across Grand Island, NY and the New York metro area. For years, we have been the go-to pizzeria of customers wanting to find the pizza that perfectly suits their tastes and preferences. Read our client testimonials to find out why pizza lovers can’t get enough of our specialty pizzas. We are still gathering testimonials from our satisfied customers. Please visit this page again soon for updates. In the meantime, you may browse our other website pages to learn more about our menu of specialty pizzas. You can also check out our client testimonials on Yelp and share your thoughts about our well-loved pizzeria. Feel free to write your comments or suggestions on the website. We will do our best to exceed your expectations the next time you dine at our pizzeria. 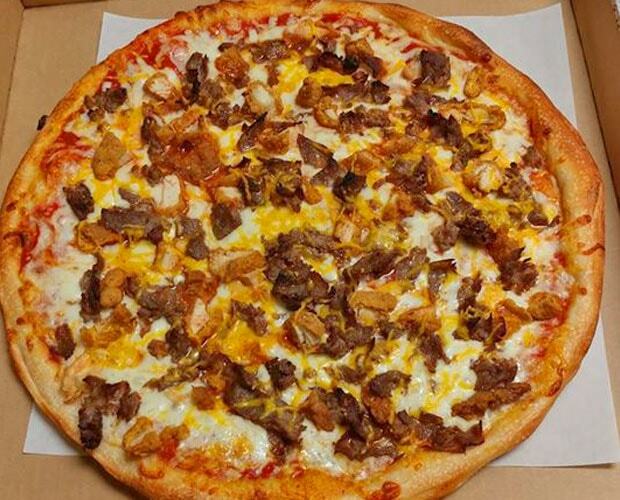 Tell us what you think about our pizzas at Rocky's Island Pizza. If you still haven’t tried our specialties, now is the time to place your order and join the other pizza lovers around town who are already hooked with our signature dishes. Give us a call for a pick-up or pizza delivery service. We hope to hear from you soon!